Background: This study was done to detect multidrug resistant (MDR) and extremely drug resistant (XDR) of Pseudomonas aeruginosa among strains isolated from patients in Tehran, Iran, due to importance of these phenotypes in treatment of human infections. Methods: Eighty eightP. aeruginosa were isolated from patients in Tehran, Iran, and identified by routine methods and PCR for oprL gene. Their antimicrobial susceptibility to 16 antimicrobial agents from 7 antimicrobial categories (aminoglycosides, carbapenems, cephalosporins, fluoroquinolones, penicillins/ß-lactamase inhibitors, monobactams, polymyxins) were determined by disk diffusion method, according to recommendation of Clinical and Laboratory Standards Institute. Characterization of P. aeruginosa isolates as MDR and XDR was done according to standardized international terminology presented by European Centre for Disease Prevention and Control as well as the Centers for Disease Control and Prevention in 2011. MDR was defined as acquired non-susceptibility to at least one agent in ≥3 antimicrobial categories and XDR was defined as non-susceptibility to at least one agent in ≥6 antimicrobial categories. Results: The rates of susceptibility to antimicrobials were as follows: gentamicin 27.3%, tobramycin 54.5%, amikacin 56.8%, netilmicin 36.4%, imipenem 55.7%, meropenem 55.7%, doripenem 60.2%, ceftazidime 63.6%, cefepime 56.8%, ciprofloxacin 59.1%, levofloxacin 60.2%, ticarcillin-clavulanic acid 37.5%, piperacillin-tazobactam 63.6%, aztreonam 43.2%, colistin 90.9%, polymyxin 95.5%. Altogether, 48 (54.5%) and 29 (33%) isolates were characterized as MDR and XDR, respectively. Discussion:The high frequency of antibiotic resistance in clinical isolates of P. aeruginosa in Iran makes epidemiological surveillance of susceptibility of this bacterium more essential for the best selection of empirical antibiotics. Pseudomonas aeruginosa is an opportunistic pathogen in human (1). The most worrisome characteristic of this bacterium is its low antibiotic susceptibility, which is attributable to low permeability of the bacterial cellular envelopes and action of multidrug efflux pumps. In addition to this intrinsic resistance, P. aeruginosa can get resistance by mutation either in chromosomally encoded genes or by the horizontal gene transfer of antibiotic resistance determinants (2, 3). Unfortunately, rates of antibiotic resistance in P. aeruginosa are increasing worldwide (1, 2). Besides, some of strains have shown resistance to multiple antibiotics, which could be mediated by several mechanisms including production of hydrolyzing enzyme, loss of outer membrane protein, efflux systems and target mutations (4). These isolates were named multidrug resistant (MDR), extremely drug resistant (XDR) and pandrug resistant (PDR), according the extreme of their resistance. Infections with these resistant isolates may be associated with increased morbidity and mortality, which can attributed to limited effective antimicrobial options (4, 5). Review of literature on MDR P. aeruginosa has revealed considerably different definitions (6, 7). The absence of specific definitions for MDR in clinical study protocols makes difficult the comparison of data (8). In addition, the true prevalence of MDR isolatescannot well establish (4). However, in the majority of the published studies, multidrug resistance was defined as resistance to at least three drugs from a variety of antibiotic classes, mainly aminoglycosides, antipseudomonal penicillins, cephalosporins, carbapenems and fluoroquinolones (4). In 2011, a group of international experts came together to create a standardized international terminology with which to describe acquired resistance profiles in bacteria often responsible for healthcare-associated infections and prone to multidrug resistanceincluding P. aeruginosa. List of proposed antimicrobial categories for characterization of MDR, XDR and PDR in P. aeruginosa are shown in Table 1. MDR was defined as “acquired non-susceptibility to at least one agent in three or more antimicrobial categories”, XDR was defined as “non-susceptibility to at least one agent in all but two or fewer antimicrobial categories” (i.e. bacterial isolates remain susceptible to only one or two categories) and PDR was defined as “non-susceptibility to all agents in all antimicrobial categories” (8). Since most studies performed in Iran about MDR P. aeruginosa do not include these criteria and there is a lack of study about presence of XDR P. aeruginosa, this research was designed to detect these phenotypes among P. aeruginosa isolated from patients in Tehran, Iran. (5'-ATGGAAATGCTGAAATTCGGC-3' and 5'-CTTCTTCAGCTCGACGCGACG-3') was used for molecular identification of P.aeruginosa (9). Product length of amplicon was 504 base pair. Genomic DNA was extracted from overnight cultures of P. aeruginosa by boiling. Disk diffusion method was used for detection of antimicrobial susceptibility in clinical isolates of P. aeruginosa according to the Clinical and Laboratory Standards Institute (CLSI) guidelines (10). The following antibiotics disks from MAST Categories Ltd., Merseyside, UK, were used: gentamicin (GM, 10µg), tobramycin (TN, 10µg), amikacin (AK, 30µg), netilmicin (NET, 30µg), imipenem (IMI, 10µg), meropenem (MEM, 10µg), doripenem (DOR, 10µg), ceftazidime (CAZ, 30µg), cefepime (CPM, 30µg), ciprofloxacin (CIP, 5µg), levofloxacin (LEV, 5µg), ticarcillin-clavulanic acid (TIM, 85 µg), piperacillin-tazobactam (PTZ, 110µg), aztreonam (ATM, 30µg), colistin (CO, 10µg), and polymyxin B (PB, 300U). Control strain used for all antibiotics disks was P. aeruginosa ATCC27853, except for penicillins/ß-lactamase inhibitors, which was E. coli ATCC35218. Defining of MDR and XDR in P. aeruginosa isolates were done according to new standardized international document (8), by the results of antimicrobial susceptibility of P. aeruginosa to all antimicrobial agents listed in Table 1 except fosfomycin, since interpretive criterion recommendation by CLSI and EUCAST for fosfomycin disk diffusion test of P. aeruginosa is not available yet (10, 11). Therefore, isolates of P. aeruginosa, which have shown non-susceptibility to at least one agent in ≥3 antimicrobial categories considered MDR, and isolates exhibit non-susceptibility to at least one agent in ≥6 antimicrobial categories known as XDR. Antimicrobial susceptibility of 88P. aeruginosa isolates against 16 agents from 7 antimicrobial categories is shown in Table 2. The highest susceptibility was shown to polymyxins categories, which was >90%, and the lowest to gentamicin (27.3%), netilmicin (36.4%), ticarcillin-clavulanic acid (37.5%) and aztreonam (43.2%). In three isolates (3.4%), there was not non-susceptibility to any tested antimicrobial categories. Non-susceptibility to one and two categories were seen in 21 (23.9%) and 16 (18.2%) isolates, respectively. In addition, non-susceptibility to three, four, five, six and seven categories were seen in 8 (9.1%), 4 (4.5%), 7 (8%), 26 (29.5%) and 3 (3.4%) isolates, respectively. Therefore, non-susceptibility to ≥3 antimicrobial categories was seen in 48 isolates (54.5%), which characterized as MDR P. aeruginosa, and non-susceptibility to ≥6 antimicrobial categories were seen in 29 isolates (33%), which characterized as XDR P. aeruginosa. Pandrug P. aeruginosa was not detected, because non-susceptibility to all used agents was not seen in any isolates. Antimicrobial susceptibility patterns of studied P. aeruginosa isolates and their frequency were shown in Table 3. The most prevalent patterns were as follows and other patterns were seen in ≤3 isolates. In XDR P. aeruginosa isolates, the two later were the most common pattern and P. aeruginosa to all 7 tested categories (patterns 35-37) was shown only in three isolates. All XDR isolates, except four isolates, exhibit susceptibility to polymyxin B and colistin. In this study, the antimicrobial susceptibility of 88P. aeruginosa isolates against 16 agents from 7 antimicrobial categories was determined. Altogether, the highest susceptibility was shown for polymyxin antimicrobials (90.9% and 95.5%, respectively, for colistin, and polymyxin B). Resistance of P. aeruginosa clinical isolates to all antibiotics except the polymyxins was shown in many medical centers (3). These agents may not be as effective as first-line agents and may be associated with more significant adverse effects (12, 13). The difference between the rates of susceptibility of P. aeruginosa isolates to different agents in aminoglycosides and penicillins/ß-lactamase inhibitors categories was also shown in this study. Susceptibility to gentamicin and netilmicin was low (27.3% and 36.4%, respectively) comparing susceptibility to amikacin and tobramycin (55% and 51%, respectively), while intermediate phenotype were high to gentamicin and netilmicin. In addition, susceptibility to ticarcillin-clavulanic acid was much less than piperacillin-tazobactam (37.5% and 63.6%, respectively), probably due to antagonism of the bactericidal activity of clavulanate with ticarcillin, which has been shown by other researches (14). In this study, 48 isolates (54.5%) was recognized as MDR, 29 isolates (33%) as XDR and there was not PDR among 88 clinical isolatesof P. aeruginosa isolated from patients in Tehran, Iran. There is few published literature about multidrug resistanceinclinical isolates of P. aeruginosa in Iran with proper definition of MDR, and the study with our used criteria was not found. However, high prevalence of MDR was reported in the studies defined MDR as resistance to ≥ 3 classes of antibiotics; 100% by Moazami-Goudarzi et al. and Ranjbar et al., 60% by Bayani et al., 45.3% by Nikokar et al. and 33.1% by Salimi et al. (15- 19). In the studies in other countries, lower prevalence was usually reported; Morales et al. 5.46%, De Francesco et al. 20% and Tacconelli et al. 14% (5, 20, 21). Geographic differences in antimicrobial resistance was shown in other studies and population demographics, access to medical care and illicit drug use are some of the variables explaining such differences (4, 22). One limitation of our study was the absence fosfomycin susceptibility test results of isolates, because we used only disk diffusion test, which interpretive criterion of fosfomycin for P. aeruginosa recommended by CLSI and EUCAST is not available yet (10, 11). Since we used all antimicrobial agents listed in Table 1 except this antibiotic, some of MDR and XDR P. aeruginosa isolates were not detected in this study. The observation that high percentage of studied clinical isolates of P. aeruginosa in Iran are multidrug and extremely drug resistant (46.6% and 33%, respectively), is worrisome and requires proper methods to prevent the spread of these strains. This work was funded by grants from the Molecular Microbiology Research Center, Shahed University, Tehran, Iran. We thank Rahim Nosrati, Seyedeh Marzieh Moosavi and Fatemeh Rezaei for collaboration in this study. Tenover FC. Mechanisms of antimicrobial resistance in bacteria. Am J Infect Control 2006; 34(5): S3-10, discussion S64–73. Strateva T, Yordanov D. Pseudomonas aeruginosa a phenomenon of bacteria resistance. J Med Microb 2009; 58: 1133-48. Bonomo RA, Szabo D. Mechanisms of multidrug resistance in Acinetobacter species and Pseudomonas aeruginosa. Clin Infect Dis 2006; 43 (Suppl 2): S49-56. Hirsch EB, Tam VH. Impact of multidrug-resistant Pseudomonas aeruginosa infection on patient outcomes. Expert Rev Pharmacoecon Outcomes Res 2010; 10(4): 441-51. Morales E, Cots F, Sala M, Comas M, Belvis F, Riu M, et al. Hospital costs of nosocomial multi-drug resistant Pseudomonas aeruginosa acquisition. BMC Health Serv Res 2012; 12: 122. Falagas ME, Koletsi PK, Bliziotis IA. The diversity of definitions of multidrug-resistant (MDR) and pandrug-resistant (PDR) Acinetobacter baumannii and Pseudomonas aeruginosa. J Med Microbiol 2006; 55 (Pt 12): 1619-29. Obritsch MD, Fish DN, MacLaren R, Jung R. Nosocomial infections due to multidrug-resistant Pseudomonas aeruginosa: epidemiology and treatment options. Pharmacotherapy 2005; 25 (10): 1353-64. Magiorakos AP, Srinivasan A, Carey RB, Carmeli Y, Falagas ME, Giske CG, et al. Multidrug-resistant, extensively drug-resistant and pandrug-resistant bacteria: an international expert proposal for interim standard definitions for acquired resistance. Clin Microbiol Infect 2012; 18 (3): 268-81. De Vos D, Lim A Jr, Pirnay JP, Struelens M, Vandenvelde C, Duinslaeger L, et al. Direct detection and identification of Pseudomonas aeruginosa in clinical samples such as skin biopsy specimens and expectorations by multiplex PCR based on two outer membrane lipoprotein genes, oprI and oprL. J Clin Microbiol 1997; 35 (6): 1295-9. CLSI. Performance Standards for Antimicrobial Susceptibility Testing; Twenty-Third Informational Supplement.CLSI document M100–S23. Wayne, PA: Clinical and Laboratory Standards Institute; 2013. Lu CL, Liu CY, Huang YT, Liao CH, Teng LJ, Turnidge JD, et al. Antimicrobial susceptibilities of commonly encountered bacterial isolates to fosfomycin determined by agar dilution and disk diffusion methods. Antimicrob Agents Chemother 2011; 55 (9): 4295-301. Kim J, Lee KH, Yoo S, Pai H. Clinical characteristics and risk factors of colistin-induced nephrotoxicity. Int J Antimicrob Agents 2009; 34 (5): 434-8. Zavascki AP, Goldani LZ, Li J, Nation RL. Polymyxin B for the treatment of multidrug-resistant pathogens: a critical review. J Antimicrob Chemother 2007; 60 (6): 1206-15. Lister PD, Gardner VM, Sanders CC. Clavulanate induces expression of the Pseudomonas aeruginosa AmpC cephalosporinase at physiologically relevant concentrations and antagonizes the antibacterial activity of ticarcillin. Antimicrob Agents Chemother 1999; 43: 882-9. Moazami-Goudarzi S, Eftekhar F. Assessment of Carbapenem Susceptibility and Multidrug-Resistance in Pseudomonas aeruginosa Burn Isolates in Tehran. Jundishapur Journal of Microbiology 2013; 6 (2): 162-5. 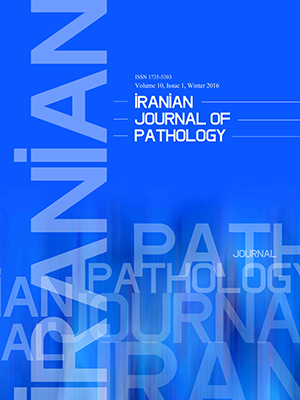 Ranjbar R, Owlia P, Saderi H, Mansouri S, Jonaidi-Jafari N, Izadi M, et al. Characterization of Pseudomonas aeruginosa strains isolated from burned patients hospitalized in a major burn center in Tehran, Iran. Acta Med Iran 2011; 49 (10): 675-9. Bayani M, Siadati S, Rajabnia R, Taher AA. Drug Resistance of Pseudomonas aeruginosa and Enterobacter cloacae Isolated from ICU, Babol, Northern Iran. Int J Mol Cell Med 2013; 2 (4): 204-9. Nikokar I, Tishayar A, Flakiyan Z, Alijani K, Rehana-Banisaeed S, Hossinpour M, et al. Antibiotic resistance and frequency of class 1 integrons among Pseudomonas aeruginosa, isolated from burn patients in Guilan, Iran. Iran J Microbiol 2013; 5 (1): 36-41. Salimi H., Yakhchali B, Owlia P, Lari AR. Molecular Epidemiology and Drug Susceptibility of Pseudomonas aeruginosa Strains Isolated from Burn Patients. LabMedicine 2010; 41 (9): 540-4. De Francesco MA, Ravizzola G, Peroni L, Bonfanti C, Manca N. Prevalence of multidrug-resistant Acinetobacter baumannii and Pseudomonas aeruginosa in an Italian hospital. J Infect Public Health 2013; 6 (3): 179-85. Tacconelli E, Tumbarello M, Bertagnolio S, Citton R, Spanu T, Fadda G, et al. Multidrug-resistant Pseudomonas aeruginosa bloodstream infections: analysis of trends in prevalence and epidemiology. Emerg Infect Dis 2002; 8(2): 220-1. Croft AC, D'Antoni AV, Terzulli SL. Update on the antibacterial resistance crisis. Med Sci Monit 2007; 13 (6): RA103-18.